Packaging Size 250 kg Plastic drum, IBC, Flexi tanks and ISO tanks. MAN Industries offeres a wide array of products to the local as well as international markets.We offer various products like Chemicals-Commodity and Speciality,Insulation, Agicultural food items and other commodity items.Our Products are manufactured with high level of precision by taking high quality basic material in line with the set industry standards. 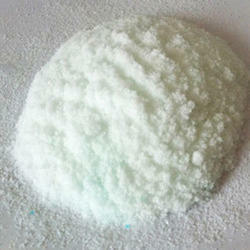 Offered chemicals are widely known for their features like excellent performance and perfect composition. To cater the clients varied requirements, we are providing these products in different packaging options. We are exporting our quality products in North and South America, Europe, Middle Est Asia, South East Asia and African continents. We have developed a modern infrastructure to manufacture the offered products as per the industry laid standards and norms. Our infrastructure unit is segmented into different units such as production unit, quality control unit, warehousing and packaging unit. All these units are operated by the highly experienced and well qualified team members. These team members have deep knowledge of this industry. Apart from this, we priced nominally to the provided products, so that one can avail these at budget friendly prices. To cater the clients varied requirements timely; we have developed a wide distribution network in the market. We are providing these products in different packaging options also so that our clients can purchase these products as per their required quantity. Under the able guidance and mentorship of the Mr. Aman Tekriwal, we have developed a strong foothold in the industry. Attributing to his vast experience, we have accomplished to gain goodwill in the market. His leadership qualities have further enabled us touching the new dimensions of success. In addition to this, we have are committed to following fair business practices that help us gain the trust of our valued patrons. We have attained such a noticeable place in the market. We are able to build a huge client base just because of his customer centric business approach and transparent deals. We are growing our reputation in the market due to his mentorship.